Few would argue that Middle-earth: Shadow of Mordor was one of the top games of 2014, a superb third-person action title with an original story set in the Lord of the Rings universe that was a real treat to action video game fans the world over. So many received the news that the game would be getting a sequel this year with excitement, and the truth is that this follow-up to the critically acclaimed 2014 game appears to be shaping up to be another great game judging by the gameplay video below, which showcases some of the new features and improvements in Shadow of War. One of these is the expansion of the original game’s critically acclaimed “Nemesis system”, which in Shadow of Mordor added an interesting RPG element to the game. This is because orcs who defeated the player would get stronger and rise in the orc hierarchy, becoming harder to defeat the next time around. 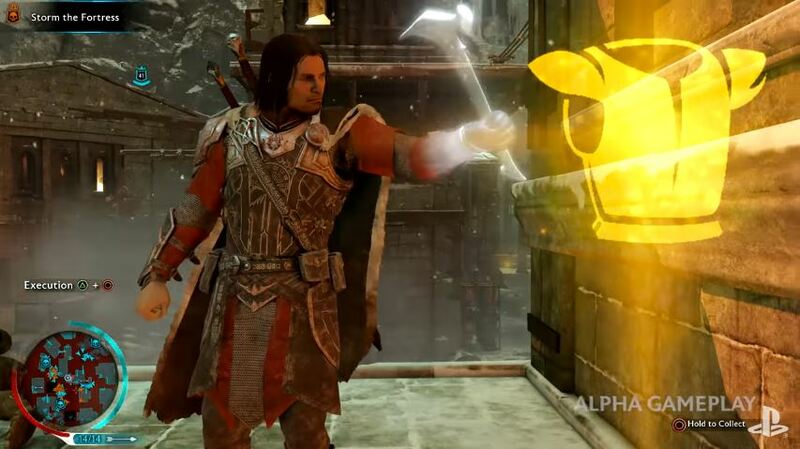 Here we see that protagonist Talion’s army has to take out a cursed necromancer that used to belong to his side but has now joined Sauron’s army, assaulting the fortress were the fiend is holed up. This shows how unlike Shadow of Mordor, the upcoming Shadow of War will focus on large scale battles, and that the new expanded Nemesis system also means that fortresses will reflect who their owner is in both looks and the challenges it will present to the player. To take out these fortresses Talion will be recruiting orcs throughout Mordor. Michael de Plater, Creative VP of Monolith Productions (the developer behind the game) recently spoke to website The Verge about this, saying that “When they’re your enemies [the orcs], people sometimes love to hate them, and we saw that in Shadow [of Mordor]”, adding that “but when they’re on your side, and they save you and rescue you or they help you, that sort of [friendly] relationship builds up. But they’re still these violent, horrible scumbags”. Developer Monolith is also aiming to recreate those big battles audiences saw in the Lord of the Rings movies. “Our goal was very much, if we think about Lord of the Rings — in particular Return of the King — there is this epic scale and we very much wanted to capture that, and live up to that”, de Plater said. What’s clear, though, is that Middle-earth Shadow of War is looking like it could be a bigger and better game than its predecessor, and hopefully it will outdo Shadow of Mordor when it comes to thrills and action when it’s released this summer. Note: Middle-earth: Shadow of War will be released on August 22, 2017 in North America, and August 25 in Europe. Available on PS4, Xbox One and PC.